If you’ve been following our blog you know we love to partner with great companies for our clients. Over the years we have partnered with different invitation companies both local, national and international. Now we can say that we partner with 1 local invitaiton company and 1 national invitation company. This way we can provide services for all of our clients. 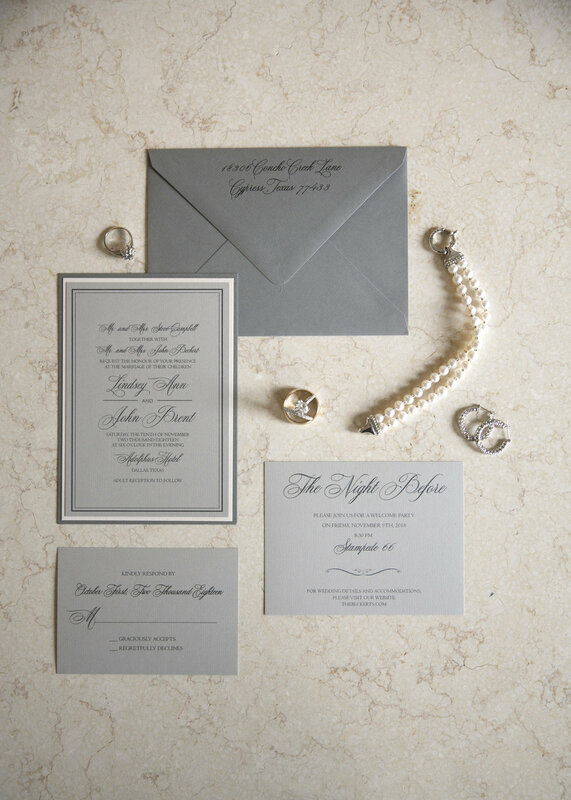 Invitations set the expectation of your wedding day so they need to be perfect. In addition from the time that you send your save the dates the stationery of your day should all match so why not make it easy on yourself and start off on the right foot from the begining? Here are THREE invitation packages that you’ll LOVE! For $6.15 per person you get an invitation with response card and envelope, accommodation card, address printing on the envelope (guests and return) and return address printing on the RSVP card. For $12.50 per person you’ll get a Save The Date with free guest address printing, invitation with response card and envelope, accommodation card, address printing on the envelope (guests and return) and return address printing on the RSVP card. You’ll also get Ceremony Programs and Menu cards. For $25 per person you’ll receive a fully custom no limit invitation, return address and guest address printing, save the date, ceremony programs, menu cards, place cards. Want something with ribbon and jewels? The answer is yes as the only limitation is your imaganiation. All aspects of stationary are included!